As the clouds scudded across the sky daily so as issues upon issues do circulate in today’s materialistic where pleasure are in good order. But who dares to be the mouthpiece of the populace of this nation, if had it not been Media. The media play a very cardinal role in the development of every nation. 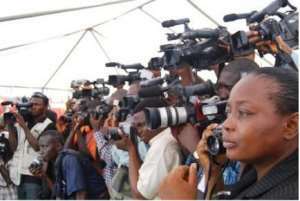 The advancement of every country aimed at improving the Political, Economic and Social lives of the people cannot be achieved without a vibrant media. Fortunately, in many jurisdictions, the media help people understand and thereby appreciate their environment. Where the media pursue their role professionally with fidelity, fairness and justice, society benefits immensely without any doubts. Therefore, the media act as guardians of public interest and watchdogs on so many activities especially the Executive and other arms of government. All in all, the media is the pivot of any issue that needs attention to be addressed and solved amicably.